Ewok Elder is a decent healer with revive capabilities. Let’s look at the brief guide on what he has to offer to your team. Basic Ability: Guiding Strike – Deal Physical damage to target enemy with a 60% chance to gain 50% Turn Meter and to grant other Ewok allies half that amount. 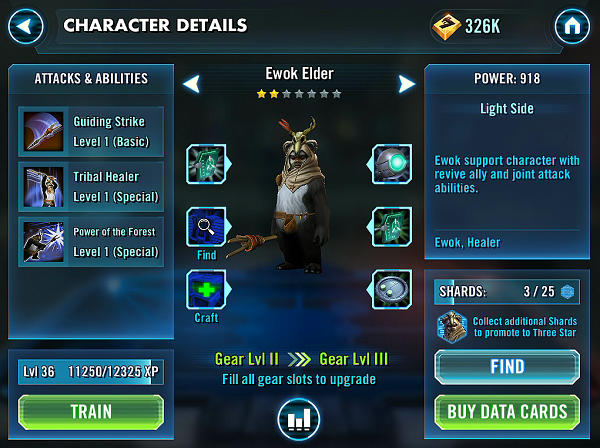 The Ewok Elder is a great addition to your squad if you lack a reliable healer. Ewok can revive dead members, cleanse any harmful effects on your team, which is vital – especially against anti-heal debuff(useful against Darth Sidious/Kylo Ren/IG-88 etc.). If you use him alongside Jedi Consular, you will have enough sustain to keep your damage dealers alive. His revive means its not a big deal when your characters die. His turn meter increase also helps him get more turns and therefore more heals/revives. A lot of people don’t like him because he is not a “popular” character. He is very valuable. If I had to do it all over again, I would gear him up for the Light side and focus on getting Luminara Unduli for a strong light team. 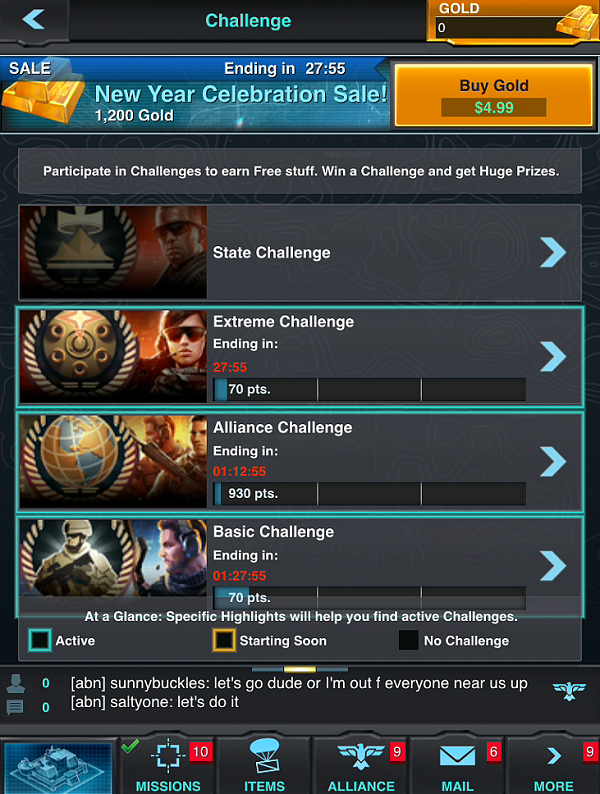 This ensures your team will be able to complete most campaign maps with ease. The only downside is that it is hard to farm shards for him, so he will be at lower star level than say Lumi or Old Daka. Verdict: Gear him well and get shards from Light Side 2-C.